The book has a fourfold purpose: 1. to celebrate the enormous impact the Psalter has had and continues to have in Christian faith; 2. to highlight the insights and work of present-day scholars who have studied the Psalms and understand both its tradition and current trends; 3. to weave together some primary theological, literary, and canonical themes of the Psalter; and 4. to offer a book that both trained pastors and professors of the Psalms can use as a tool (pg. 15-16). The book is divided into five parts: Part 1, Psalms Studies in the Twenty-First Century; Part 2, Psalms of Praise; Part 3, Psalms of Lament; Part 4, Considering the Canon; Part 5, Communication the Psalms. The book is a collection of papers that grew out of the Psalms and Hebrew Poetry Consultation of the Evangelical Theological Society which was established in 2009. Some of the contributors include Bruce Waltke, William VanGemeren, Francis Kimmitt, Robert Chisholm Jr., Andrew Schmutzer, Michael Travers, Walter Kaiser, Allen Ross, Daniel Estes, Randall Gauthier, Robert Cole, David Howard, Jr., Michael Snearly, Tremper Longman III, Mark Futato, David Ridder, and John Piper. As one can tell there are a lot of contributors across many disciplines but all with a vast amount of knowledge and experience. Part 1 looks at the theology of the Psalms through the life of Bruce Waltke. The Psalms for Waltke have been a life time of study and at each part of his life he gained something in his Christian life from the Psalms. In Part 2, Kimmitt writes about Psalm 46, a Psalm of praise. “Hymns of praise are to be sung or spoken in those moments in life when all is well in the world, when our lives are trouble free and well ordered. We join with the psalmist in praising and thanking God for who he is and what he has done for his people” (pg. 64). In Part 3, Kaiser gives a great definition for a Psalm of lament. “The literary form of ‘lament’ is one of a number of special literary genres that exist in the Bible in a shared pattern of communication that alerts the reader and listener as to how a text or speech is to be interpreted or understood. Such a lament forms may be called compositions of complaint, forms of petition, or examples of prayers, which present a specific need to God, not only so that special need may be resolved, but also that it may often ultimately end to the praise of God’s name and person” (pg. 127). In Part 4, the contributors look at the organization of the Psalms and how the entire book is divided up. Finally in Part 5, Futato, Ridder, and Piper teach the reader how to make the Psalms relevant for today’s Christian. The book is one big strength. I could not find any weaknesses. The only weakness that I would mention is that the book is advanced level reading and not intended to just be a quick read. 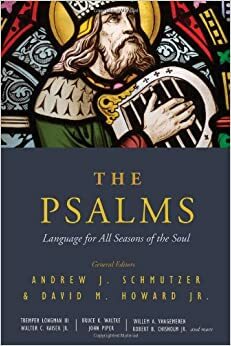 I would recommend the book for anyone who wants to gain a greater knowledge of the Psalms. The book is geared toward the pastor, seminary student, or Bible college student. I received this book for free from Moody Publishers for this review. I. What does it mean that God is Sovereign? Sovereign — adj. 1 : above or superior to all others; chief; greatest; supreme 2: supreme in power, rank or authority 3: of or holding the position of ruler; royal; reigning 4: independent of all others 5: excellent; outstanding — noun 1: a person who possesses sovereign authority or power; specifically, a monarch or ruler. A. He is before all things! Psalms 90:2 Before the mountains were brought forth, or ever you had formed the earth and the world, from everlasting to everlasting you are God. B. He created all things! D. He is above all things! E. He knows all things! Psalms 139:4 Even before a word is on my tongue, behold, O LORD, you know it altogether. F. He does all things ! G. He accomplishes all things! H. He rules all things! 1 Chronicles 29: 11-12 Yours, O LORD, is the greatness and the power and the glory and the victory and the majesty, for all that is in the heavens and in the earth is yours. Yours is the kingdom, O LORD, and you are exalted as head above all. (12) Both riches and honor come from you, and you rule over all. In your hand are power and might, and in your hand it is to make great and to give strength to all. I. He is in control of all things! II. How Does God Reveal His Sovereignty to Us? II. How Do We Respond to a Sovereign God? a. Bow before the King of the universe! Philippians 2:9-11 Therefore God has highly exalted him and bestowed on him the name that is above every name, (10) so that at the name of Jesus every knee should bow, in heaven and on earth and under the earth, (11) and every tongue confess that Jesus Christ is Lord, to the glory of God the Father. *Application = Absolute surrender of all you are and all you have! *Application = Absolutely refuse to worry about anything! rule over all that is or will ever be! Romans 11:33-36 Oh, the depth of the riches and wisdom and knowledge of God! How unsearchable are his judgments and how inscrutable his ways! (34) “For who has known the mind of the Lord, or who has been his counselor? ” (35) “Or who has given a gift to him that he might be repaid? ” (36) For from him and through him and to him are all things. To him be glory forever. Amen. * Application = worship God for who He is, not merely for what He has done!